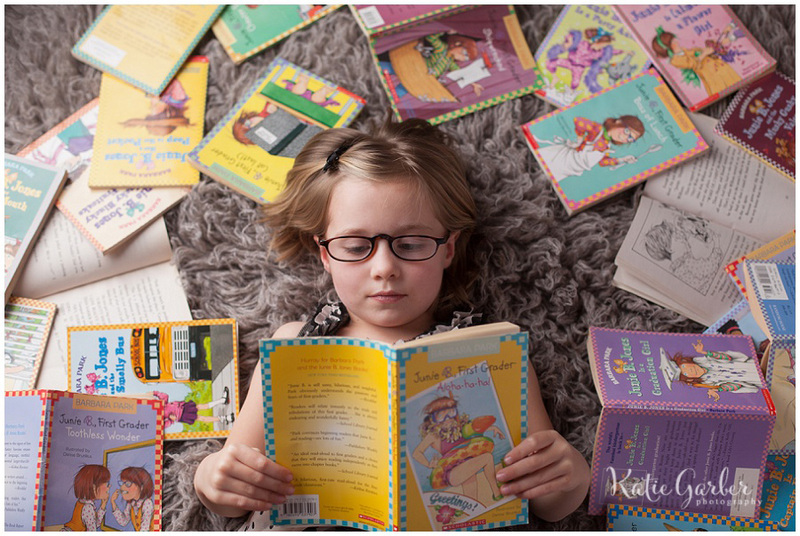 My little girl is learning how to read and she loves it so much. It reminds me of myself when I was little, and I wanted to do something special to capture her excitement about it. 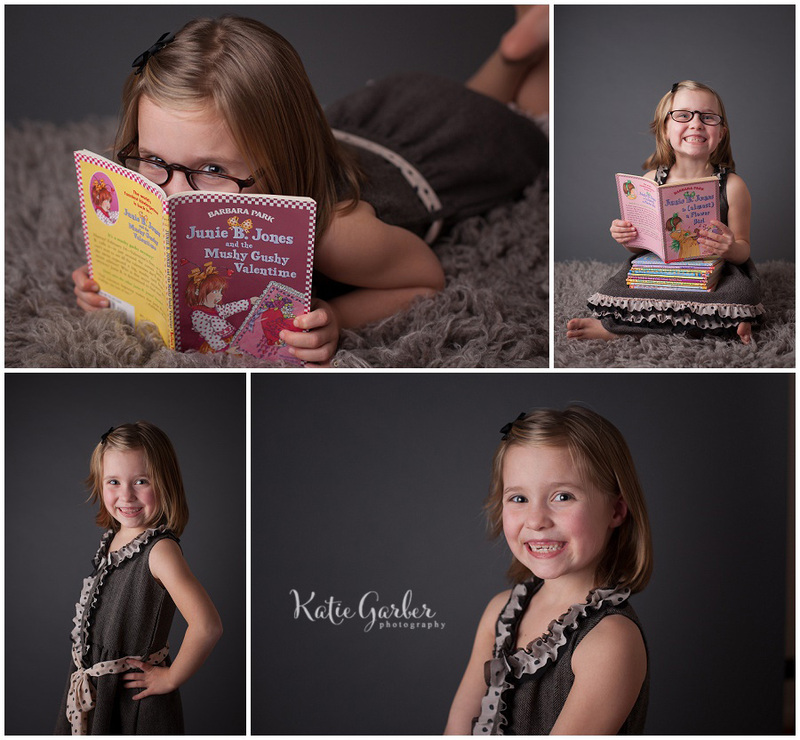 We spent our girl time this weekend doing a mini photo shoot for her and we had so much fun! What started out as an idea for four or five simple photos in my head somehow turned into a marathon session. She really got into it and kept coming up with her own ideas long after I was ready to call it quits! 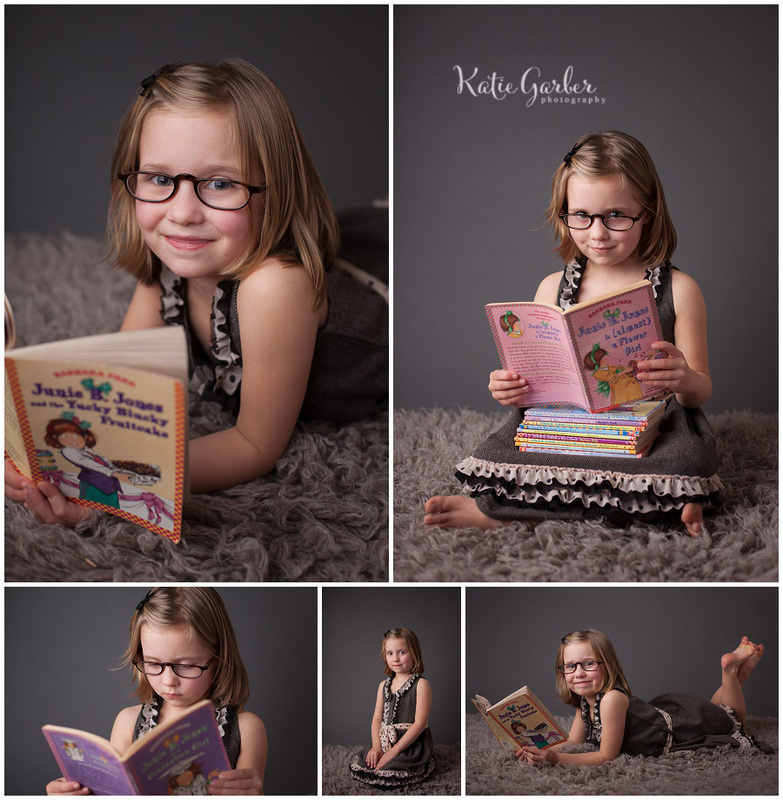 Of course we had to incorporate her favorite books…her Junie B. Jones collection. 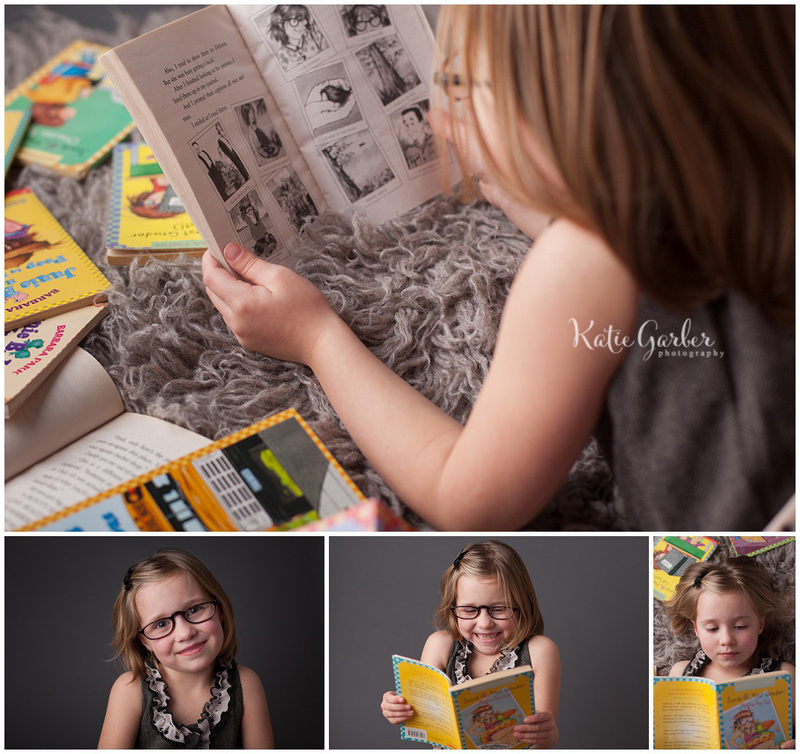 I started reading these books to her back when she could only recognize the most basic of sight words, usually reading a chapter out loud to her every night at bedtime. We have shared so many snuggles and laughs over these books! A few weeks ago I read her a chapter and tucked her in as usual, and assumed that she had gone to sleep. An hour or so later I heard RUNNING footsteps and she was so excited she could hardly speak. She had stayed awake, and using a flashlight (little sneak! 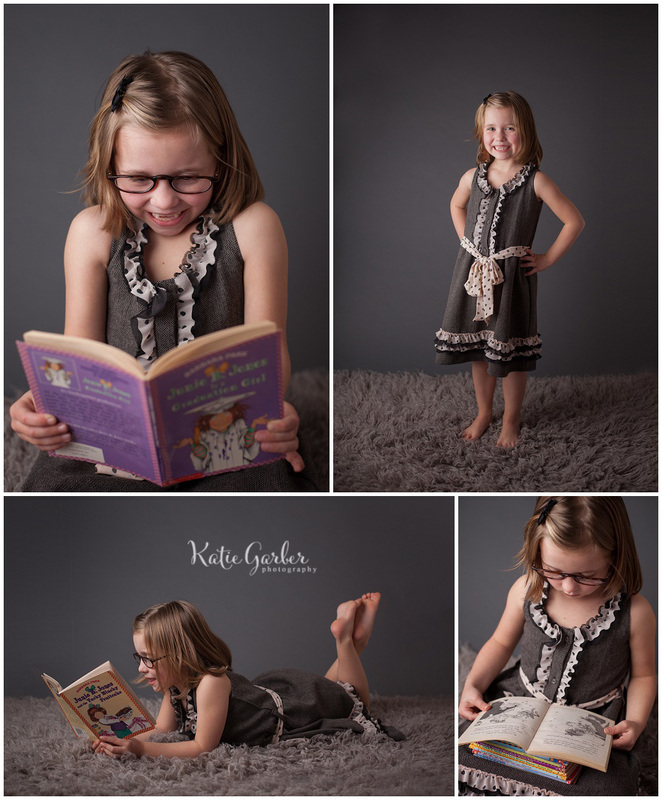 ), she had read the entire rest of the book by herself! 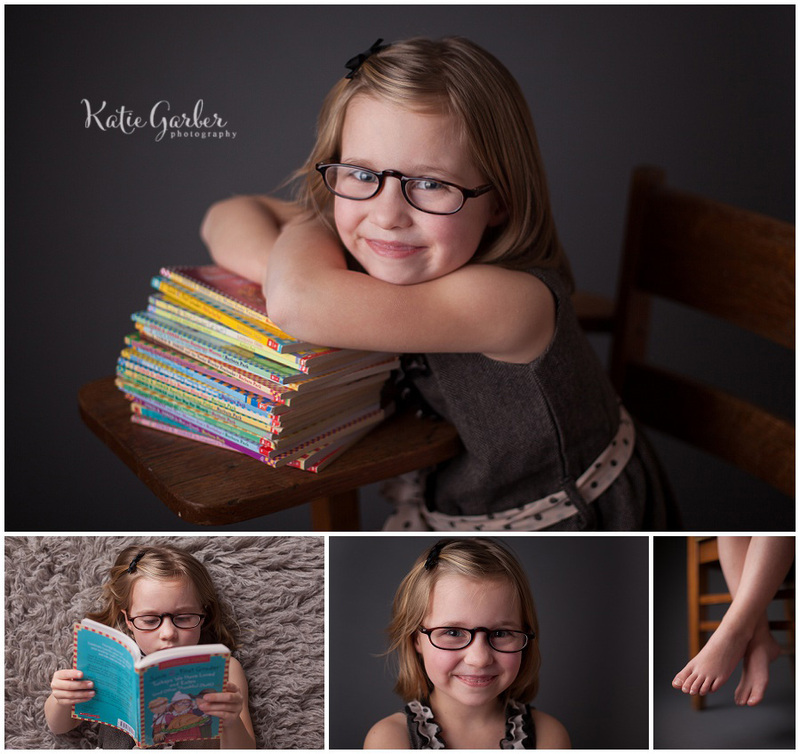 So it’s official…she can read! 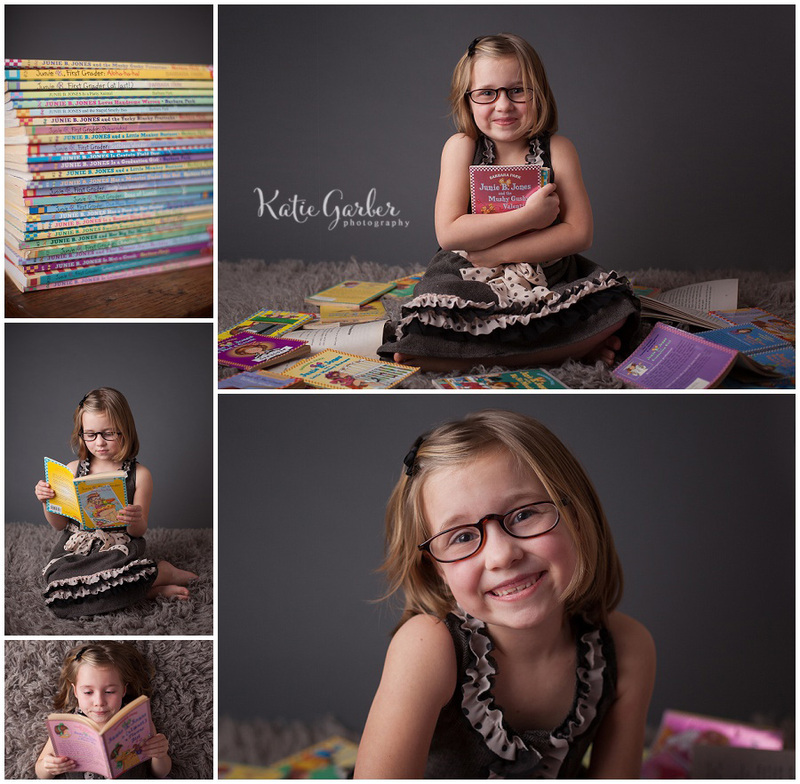 We had so much fun together documenting this milestone for her. My little reader. Love her! She’s the cutest! These are so adorable! What a great way to capture this big milestone!